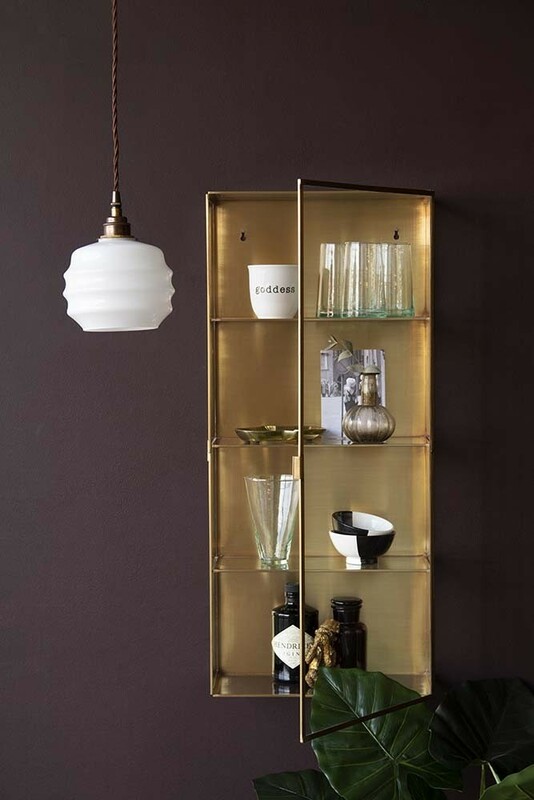 Stylish and useful too, the Brass Shelving Cabinet with glass doors is the perfect display cabinet for all your decorative ornaments, treasures and collections. 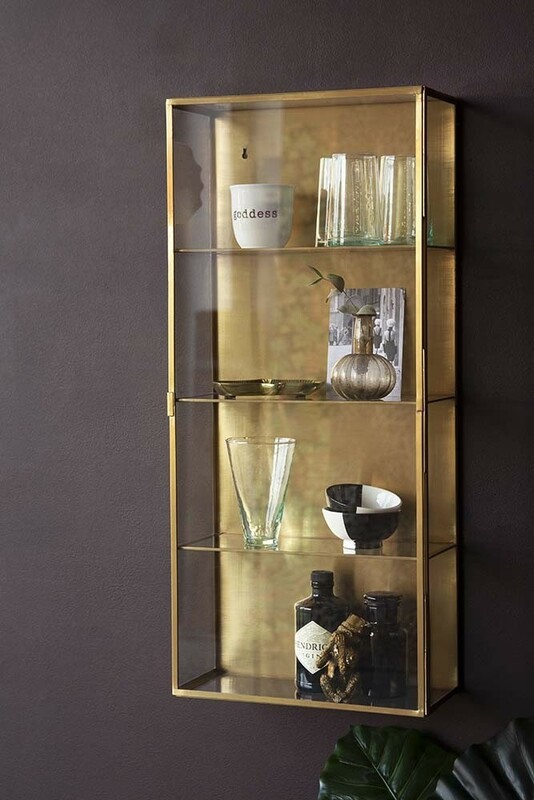 A large gold shelving cabinet with 3 shelves and four compartments the Brass & Glass Wall Mounted Display Cabinet measures 35cm in width x 15cm in depth x 80cm in height. ”The details are not the details. They make the design.” – Charles Eames. 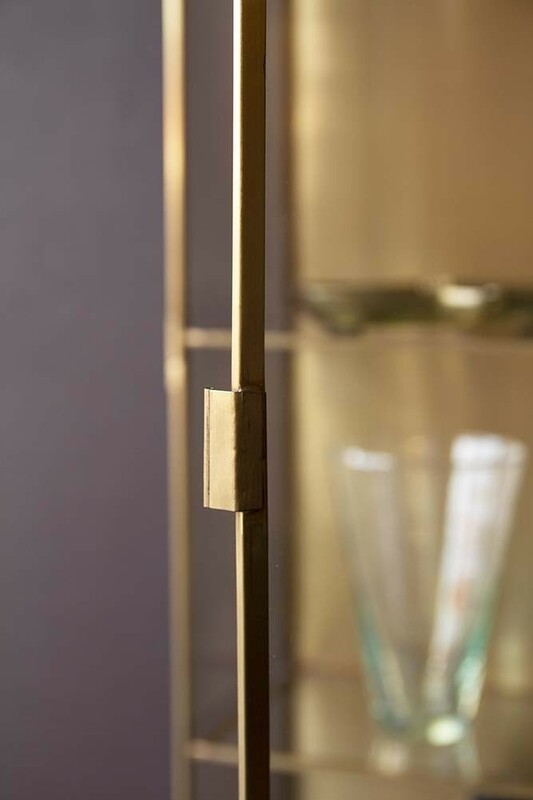 As Charles Eames, aptly puts it, details make the design in your home and so it’s important to not only spend time sourcing and curating beautiful objects and ornaments, but also the display units that will complement the finer details. At Rockett St George we believe that beautiful storage baskets, units, shelves and cabinets are an absolute must for complementing your curated collections and for keeping your home stylishly organised and tidy too. 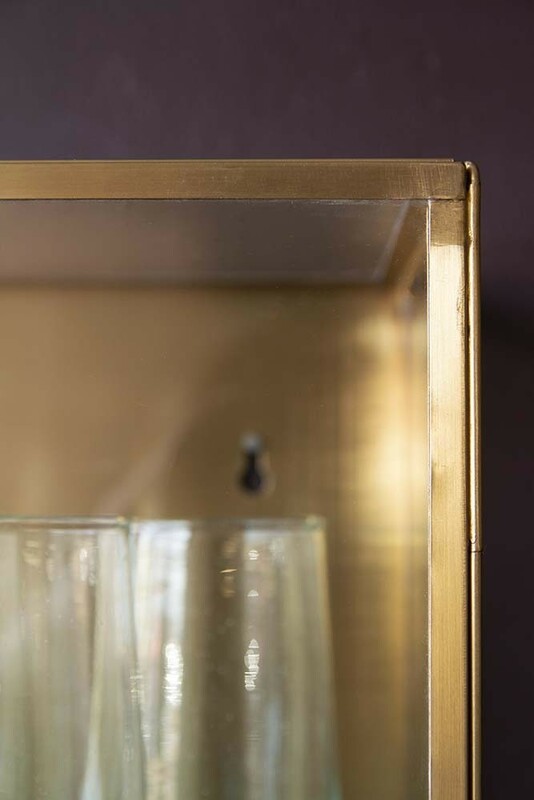 So when we first laid our eyes upon the Brass & Glass Wall Mounted Display Cabinet, we knew that it would be loved by anyone who wants to curate and display in their home. 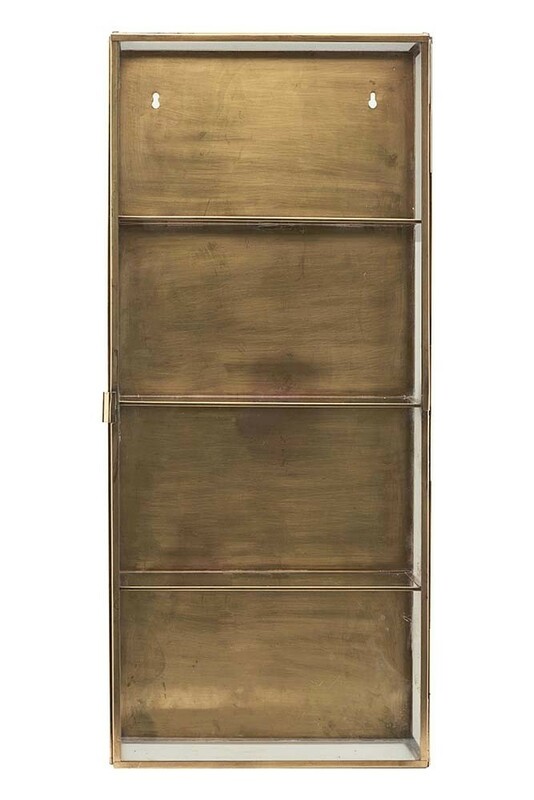 A rectangular wall cabinet that could also be a freestanding too, the Brass & Glass Wall Mounted Display Cabinet can be used in so many different spaces in the home. A great storage shelf for your kitchen or bathroom essentials, fill the cabinet with beautiful bowls, canisters and quirky display pieces that will turn heads. Alternatively, use this industrial luxe storage unit as a display shelf and create a cabinet of curiosities filled with mementos, treasures, quirky ornaments, photographs and anything that makes you smile.